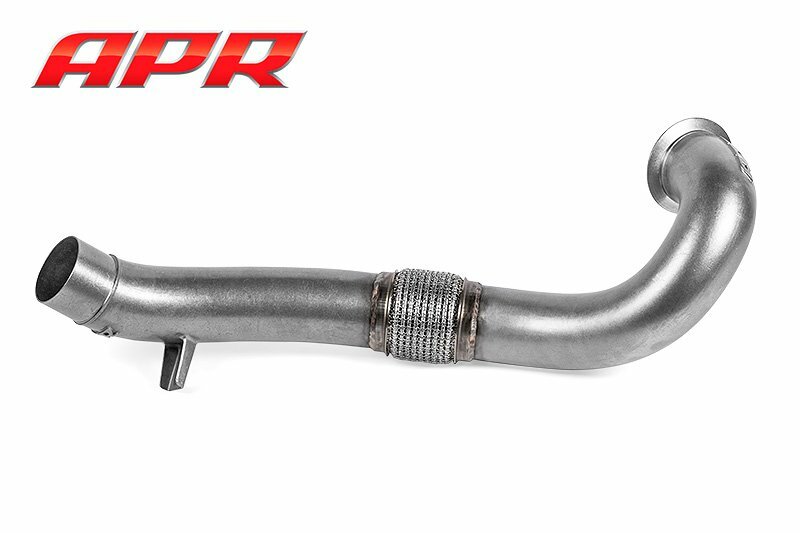 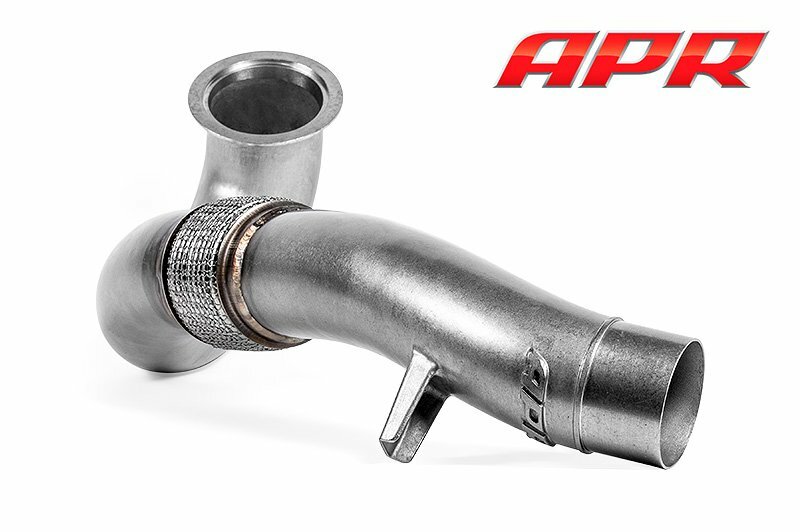 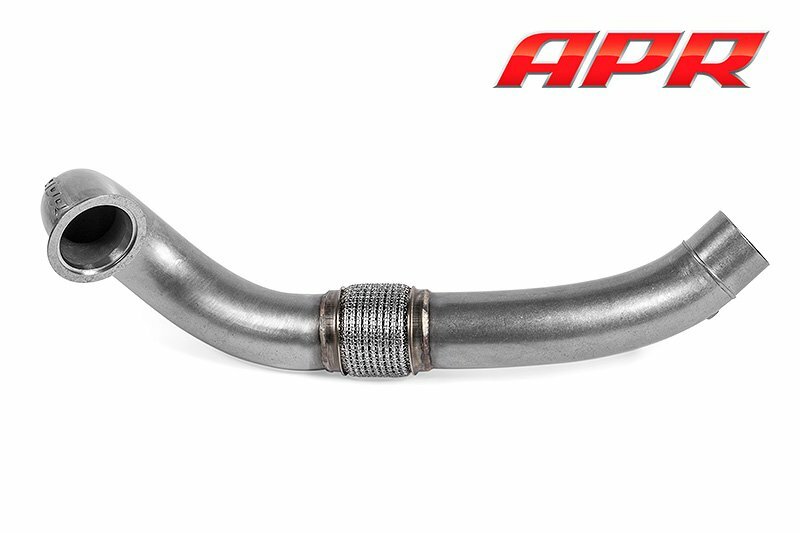 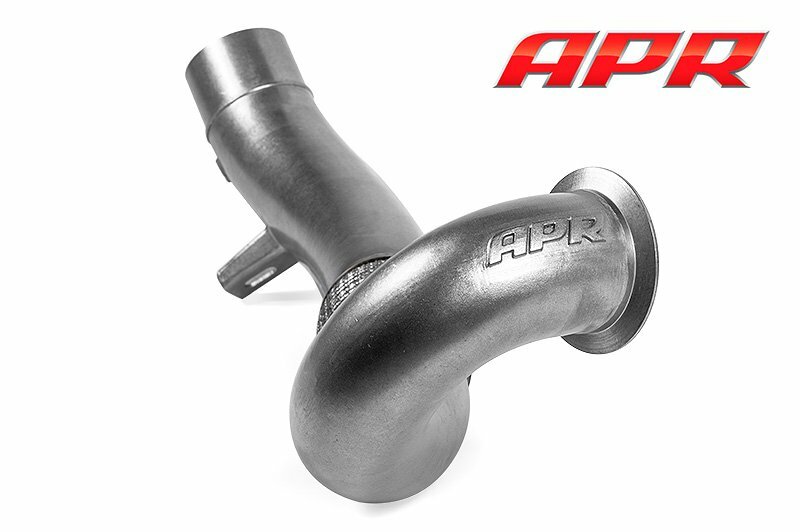 Upgrading the restrictive factory downpipe with the APR Cast Downpipe Exhaust System is a great way to increase performance and add a sophisticated growl to the exhaust note. 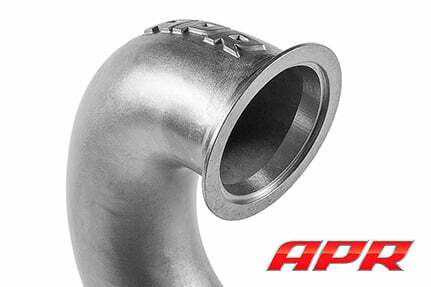 Ideal performance is achieved through expelling exhaust gasses at maximum velocity through APR’s proprietary, low-turbulence, investment cast downpipe. 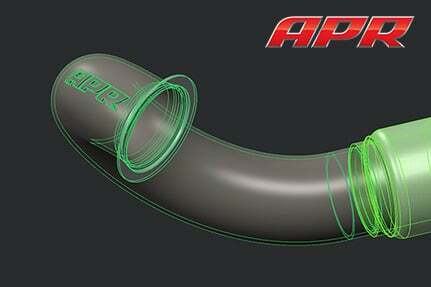 Designed and assembled in-house, the system utilizes only premium materials and world-class manufacturing techniques to deliver unmatched quality and reliability. 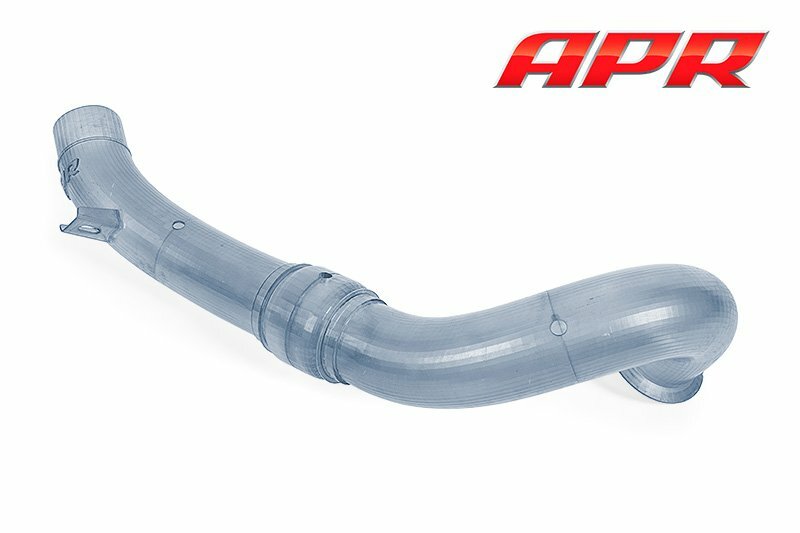 The factory downpipe system consists of smaller, 63mm piping with varying bends and multiple restrictive high-cell-count catalysts, all of which contribute to a less than ideal flow path and hindered performance. APR’s engineers took a multi-step approach to maximizing flow, reducing under hood temperature, and eliminating unnecessary restrictions all in a unique package only APR can deliver. 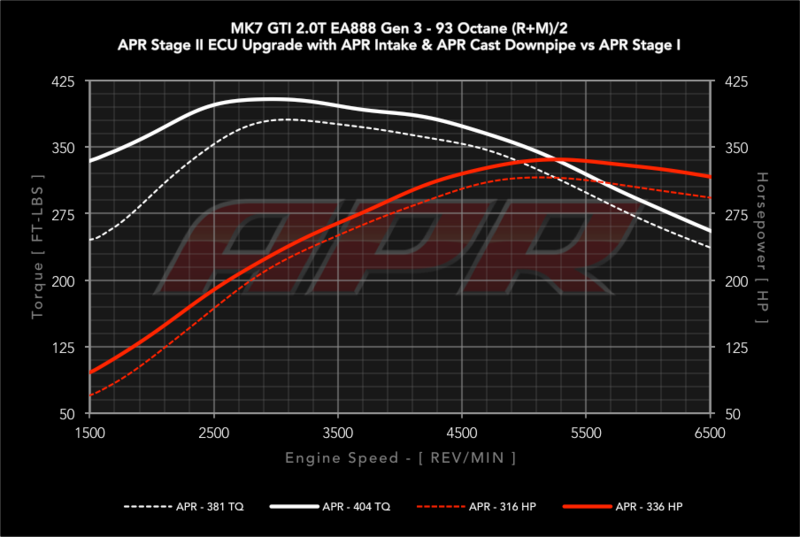 Reported wheel figures measured on APR’s in house Dynapack Dynamometer with a 2014 MK7 Golf Tiptronic and 2014 MK7 GTI DSG, using SAEJ1349 correction and an average of multiple runs. 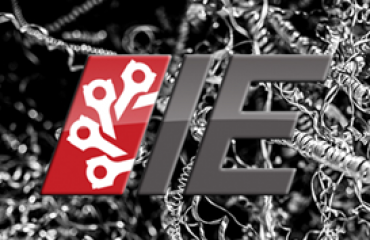 Crank figures estimated based on the measured wheel figures. 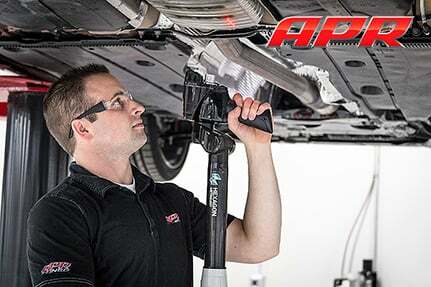 Results will vary depending upon environmental conditions, vehicle, transmission, vehicle health, operating conditions, temperatures, fuel grade, dyno type, dyno setup, and other modifications. 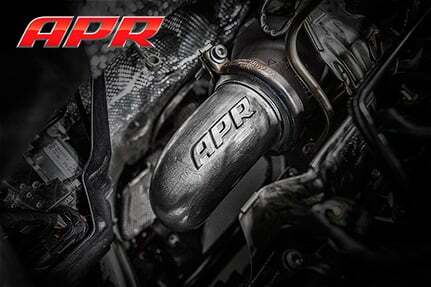 – Stage II software may not be available for all vehicles. 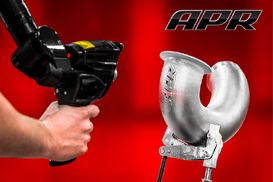 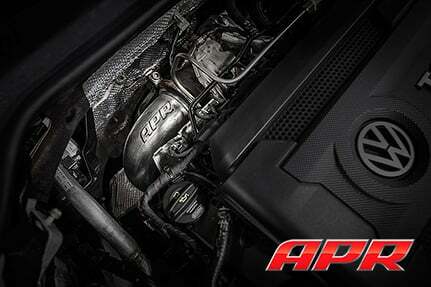 – Stage II pricing only applies to customers who have purchased an APR ECU Upgrade after February 16th, 2015. 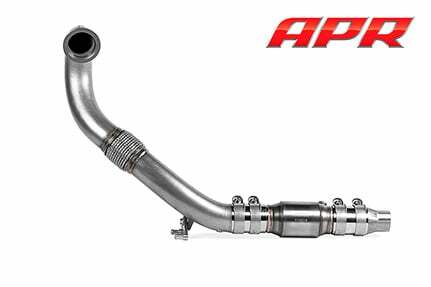 1.8T EA888 Gen 3 $149.00 Free! 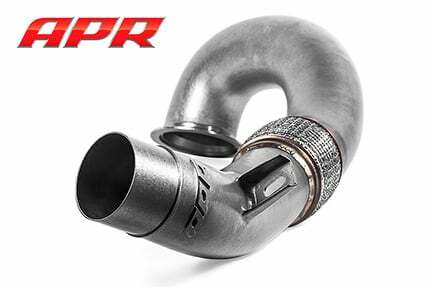 2.0T EA888 Gen 3 (IS20 Turbo) $174.00 Free! 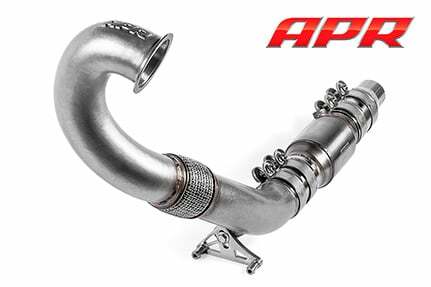 2.0T EA888 Gen 3 (IS38 Turbo) $199.00 Free! 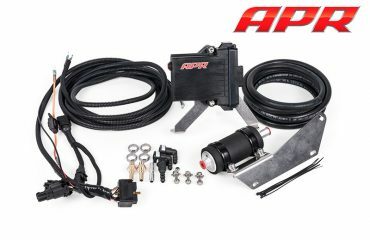 If you wish to purchase this product, please contact us today.